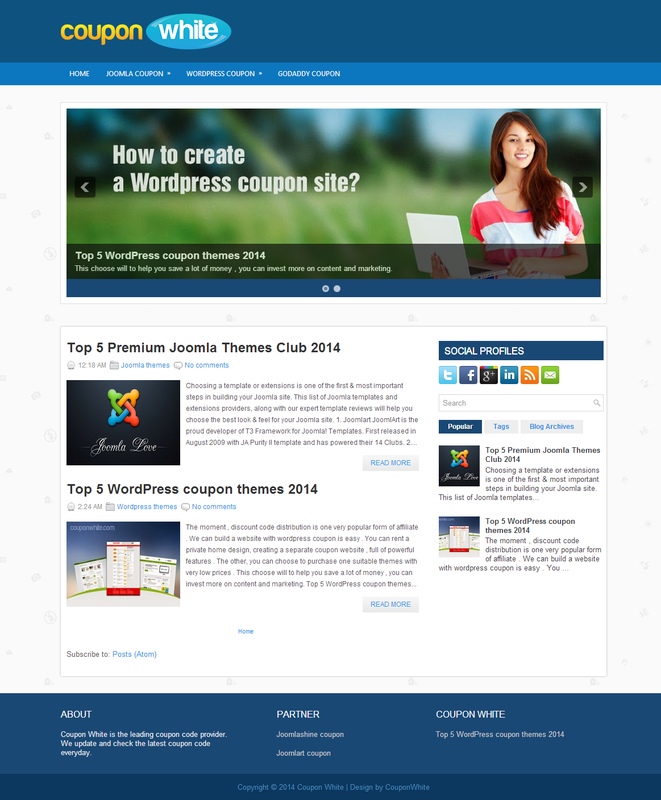 Coupon White is a 2 column blogger template, specially made for personal blog type sites. This is packed with awesome unique features and design. It have unique Post by Label layouts, Drop down Menu, Slider etc. It's design is fully browser compatibility which looks stunning on your blog.